Ten years ago, the Stein family was wondering what to do with the grain crops they owned in Joseph. Grain wasn’t turning as much of a profit as it had in previous decades. Dan, the father, had owned his own construction company for a number of years and was looking for something different, something that wasn’t so taxing on the body. His son, Austin, and Austin’s wife, Heather, wanted to figure out a way to leave corporate America for small business. The pieces for a family-run business were all there. With some family history of dabbling in moonshine, really good moonshine at that, opening a distillery seemed like a good option. Dan and Austin’s brother, Adam, built the distillery. Dan, Heather and Austin took distilling classes to learn how to produce a higher volume of liquor. Heather and Austin split the helm as co-owners, and Dan, as the master distiller, made an easy transition from construction to chemist. Austin’s mother, Diana, tackled the numbers as the bookkeeper and accountant. The pieces came together in 2006. 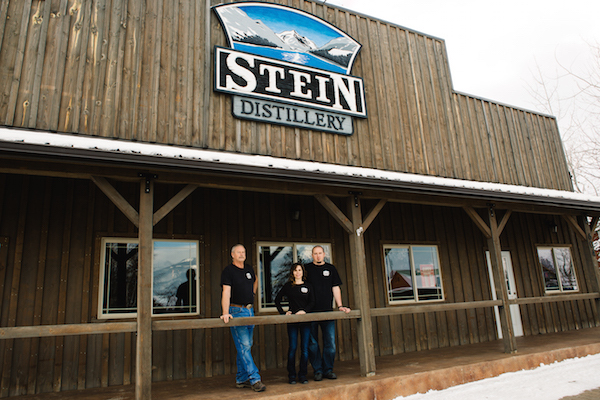 By 2009, Stein Distillery became the first microdistillery in Eastern Oregon. 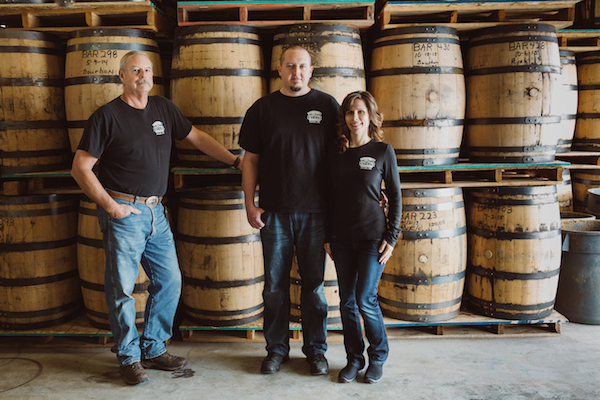 Since then, the family has built a solid reputation in the world of craft spirits, producing the highest quality spirits by hand. This past November, Stein Distillery took another leap of faith and opened a second tasting room in Beaverton. Though the Stein’s revere bourbon and rye whiskey, fruity cordials and stiff Steinshine have also landed on metropolitan shelves. Still, homegrown roots are important to the family. 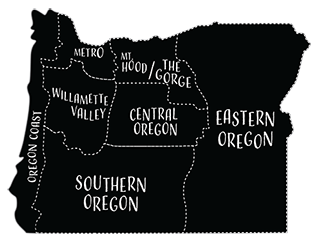 Each of Stein’s spirits is produced from ingredients grown in Eastern Oregon soil. 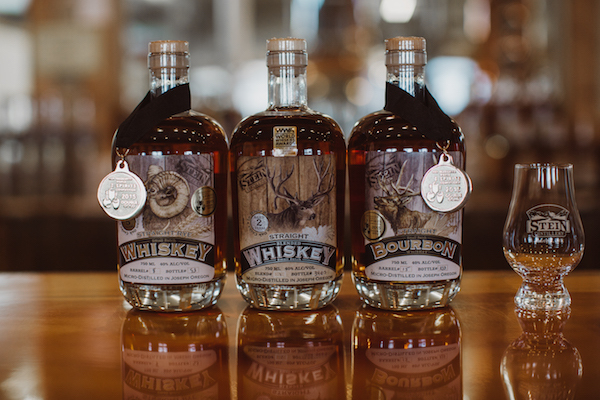 The wheat, barley and rye are produced on a thirty-five-acre swath of the family’s farm that dates back to the early ’70s. 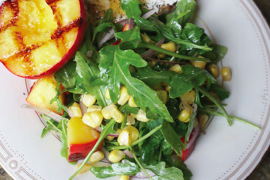 The corn comes from a farm in nearby Hermiston. “We really pride ourselves on the hard work and the manual labor, and everything is done by the family’s, or the town’s, hands,” Heather said, noting that unlike many other distilleries, they don’t just redistill bulk ethanol. The Stein family roots go back decades, so the community was supportive from the beginning. When the distillery first opened, and the family couldn’t afford to pay anyone to bottle or label, people volunteered their time. With the Beaverton location, which will have its grand opening in January, the Steins are hoping to return that support. Artists from the Joseph area have approached them about displaying some of their work in the new tasting room, and the chamber of commerce has asked them to take brochures about Joseph to display. 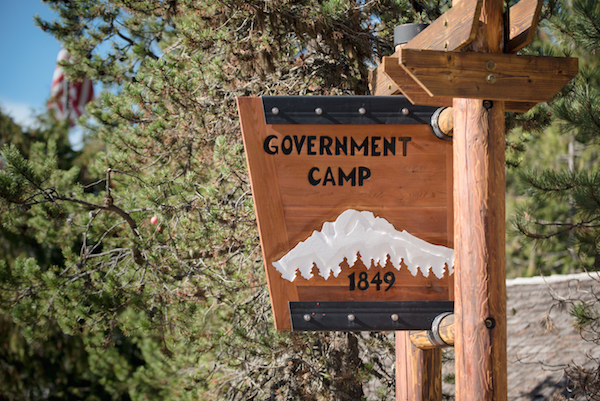 Heather sees this as one way they could give back to the Wallowa County community. As for the family and the structure of the business, all the pieces continue to run smoothly. After the grains are grown, milled, cooked, gelatinized, aged and blended, each liquor must pass inspection by members of the family. The product they product is top quality and some of the best I have every had. Glad they are only 2 hours away. 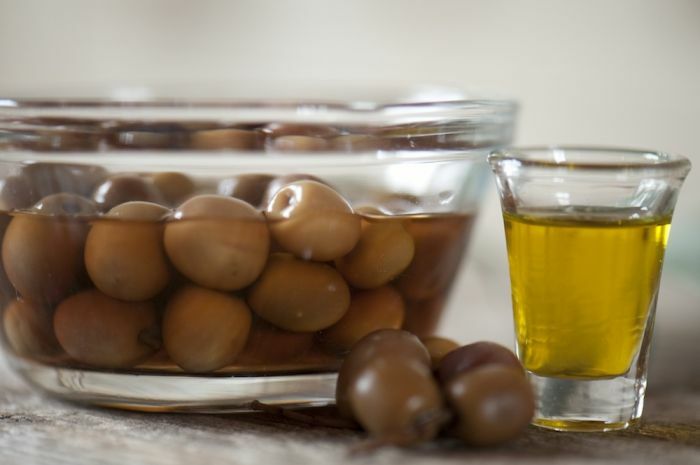 Great article, puts just the right twist on this family owned, family run business. It's going to be a big successiful business as long as you folks stick to your roots and ideals.